I’ve clearly got a bit of a thing for a simple white and grey apartment. 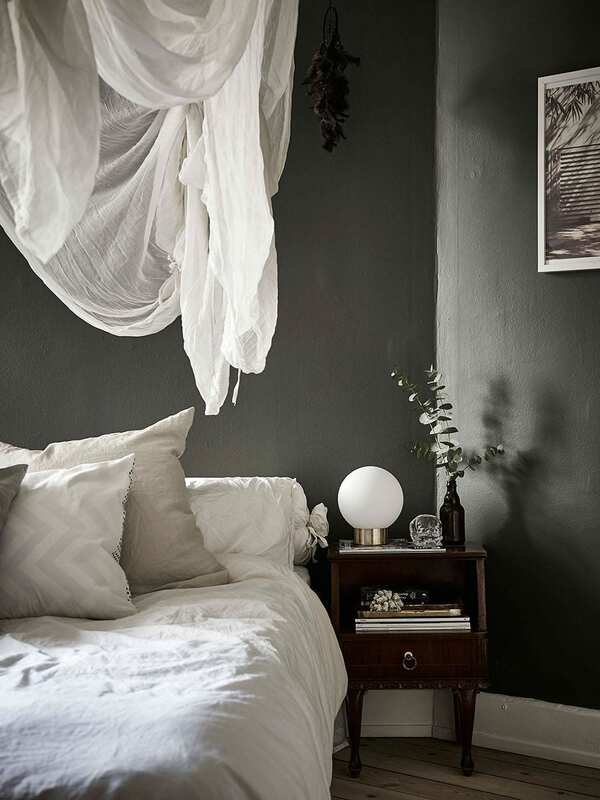 It’s the colour palette I have in my own home and I love the fresh feel this simple palette creates. 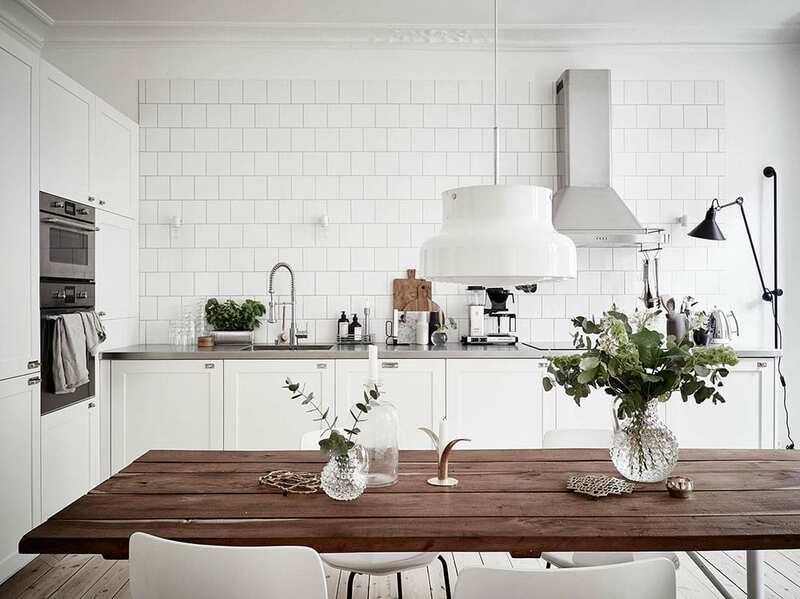 Once again I’ve been inspired by the beautiful homes on Stadshem, a property sales agency in Sweden with a difference, they style the homes too, perfectly. There’s a trick being missed in London. Large windows let in the light, making the most of the lighter months. 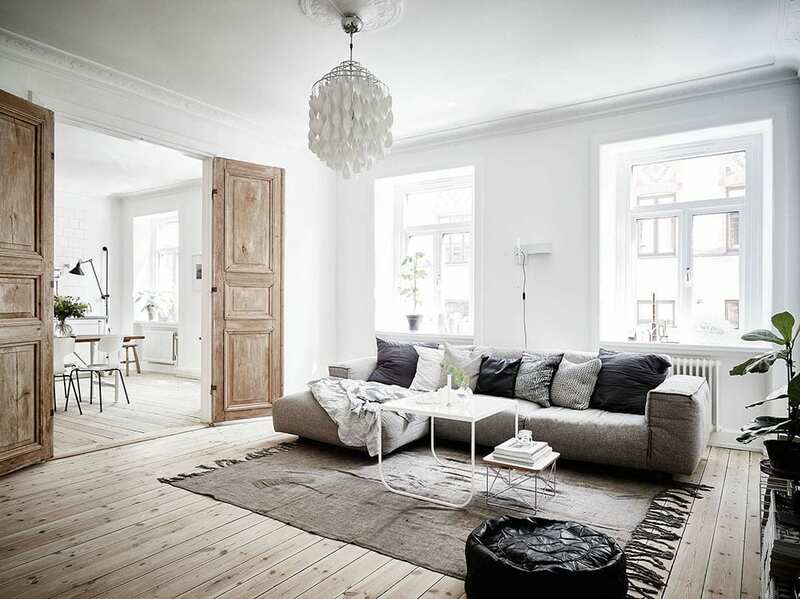 Wooden floors are more practical than carpets, and don’t have the harsh coldness of tiles in the winter. Carpets add softness and texture. 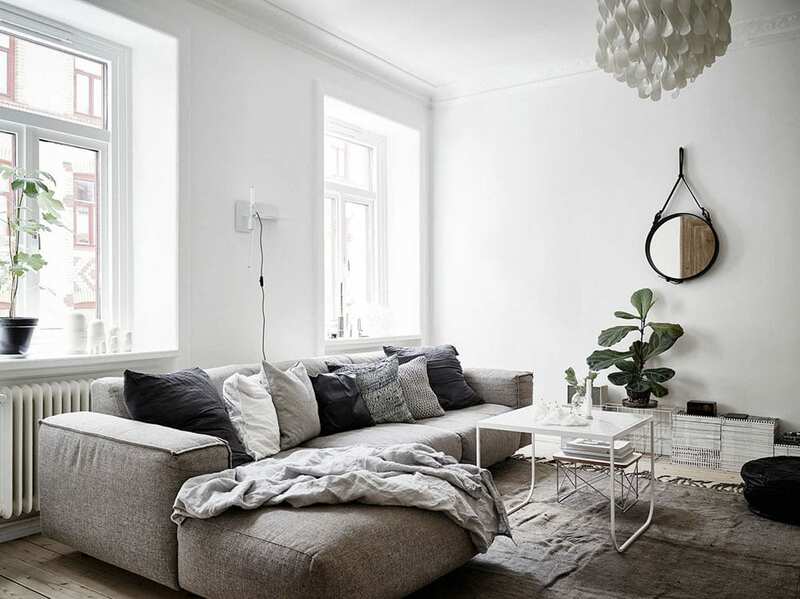 A large L-shaped sofa takes up one side of the living room, it’s large soft cushions look comfortable and inviting. 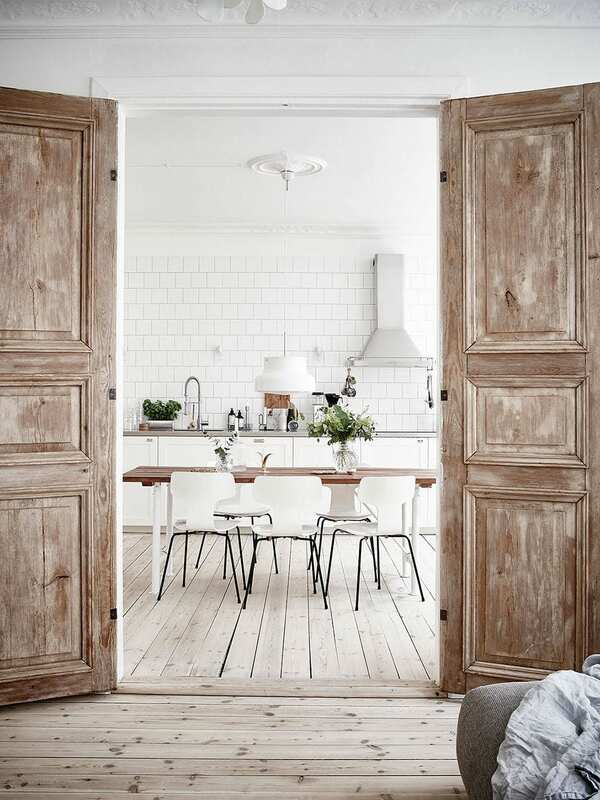 Large double wooden doors lead into a kitchen-dinner with lots of clean white storage and a long dark wood table, perfect for hosting dinner parties or fitting the family around. 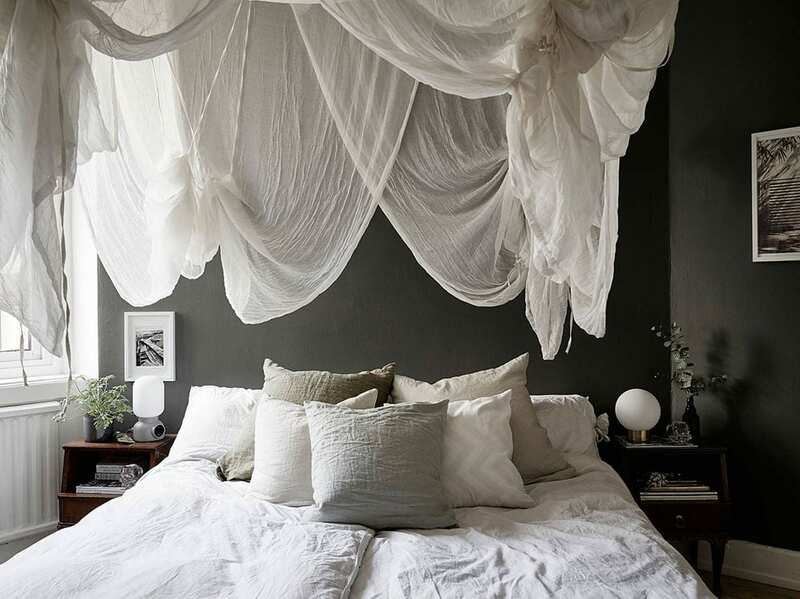 In the bedroom the bed is the focal point with soft white gauze drapped above it to form a simple canopy. 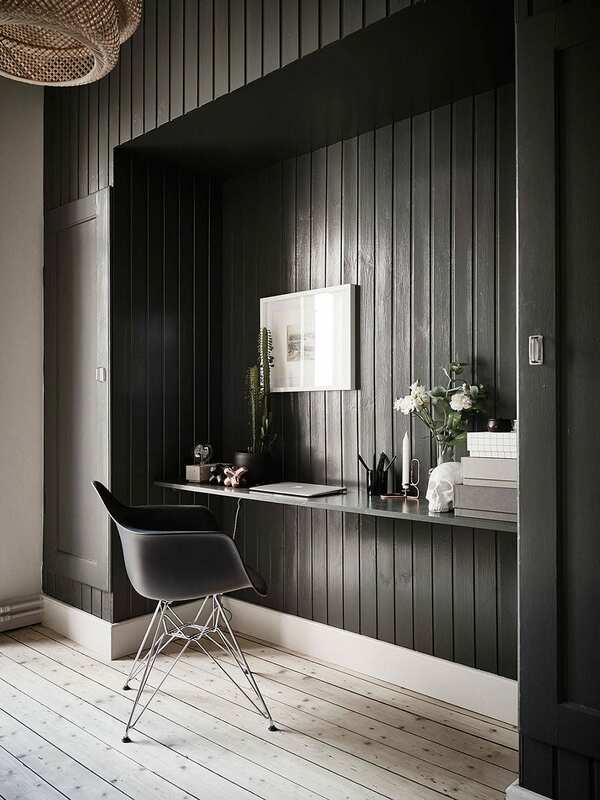 In the spare room a simple desk has been created with a low shelf running between the alcove formed by two cupboards. 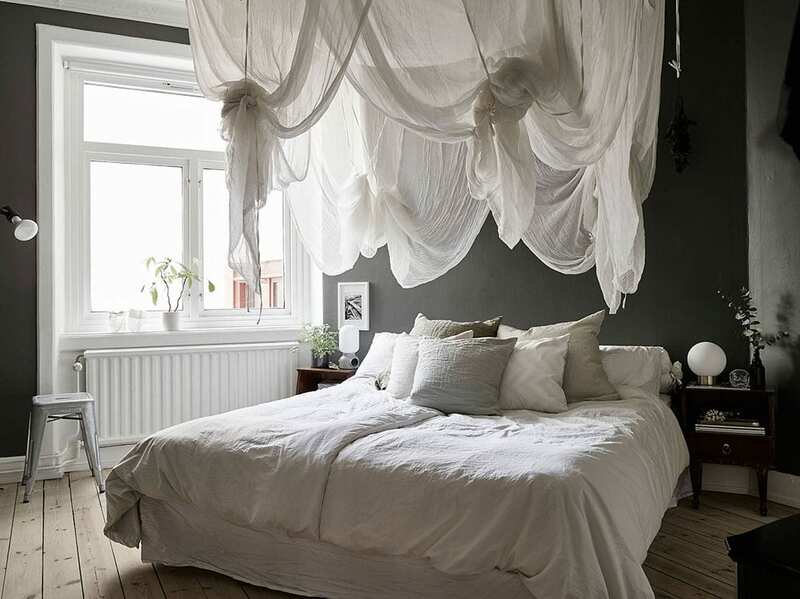 A contemporary day-bed sits along the opposite wall. Proof that keeping things simple can have a strong effect.